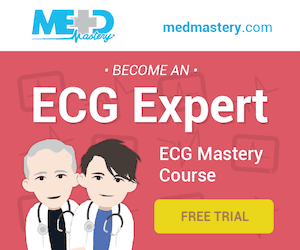 An elderly patient with a history of mild COPD presents after falling onto a chair and hitting their chest. 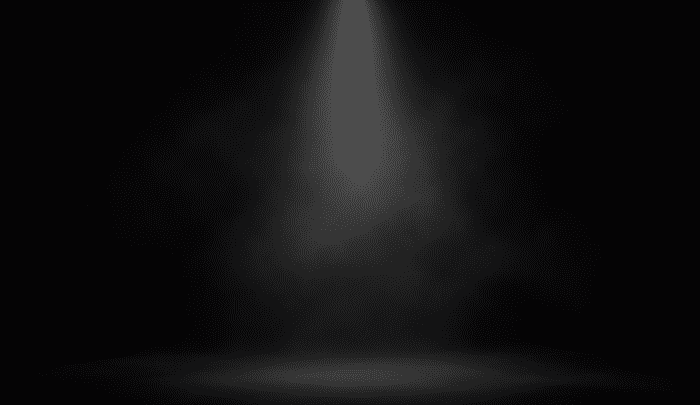 The presentation is with chest pain and shortness of breath. What does this scan demonstrate? There is extensive subcutaneous emphysema. The air lies just below the skin in the subcutaneous tissues and obscures deeper structures in the chest wall. 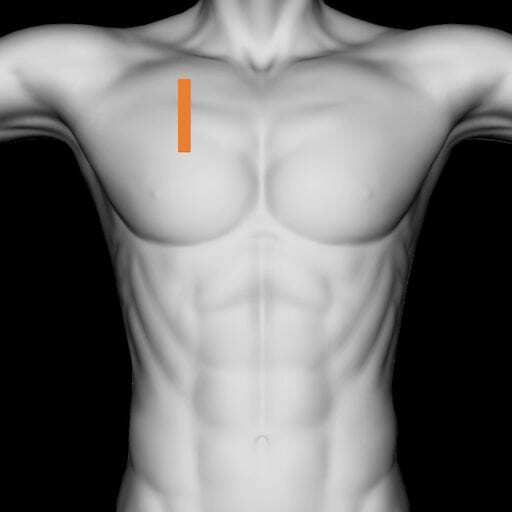 The intercostal muscles, ribs and pleural surface are all hidden. 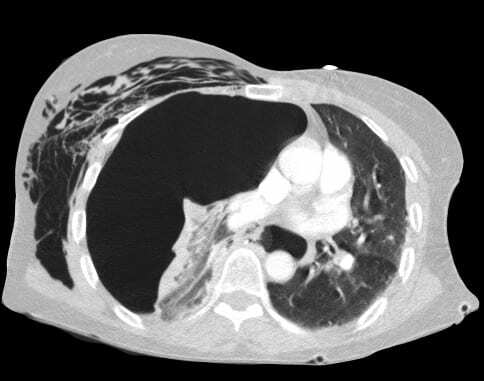 A common mistake is to confuse the non-sliding subcutaneous air for pneumothorax. A CT scan is performed. Describe and interpret. 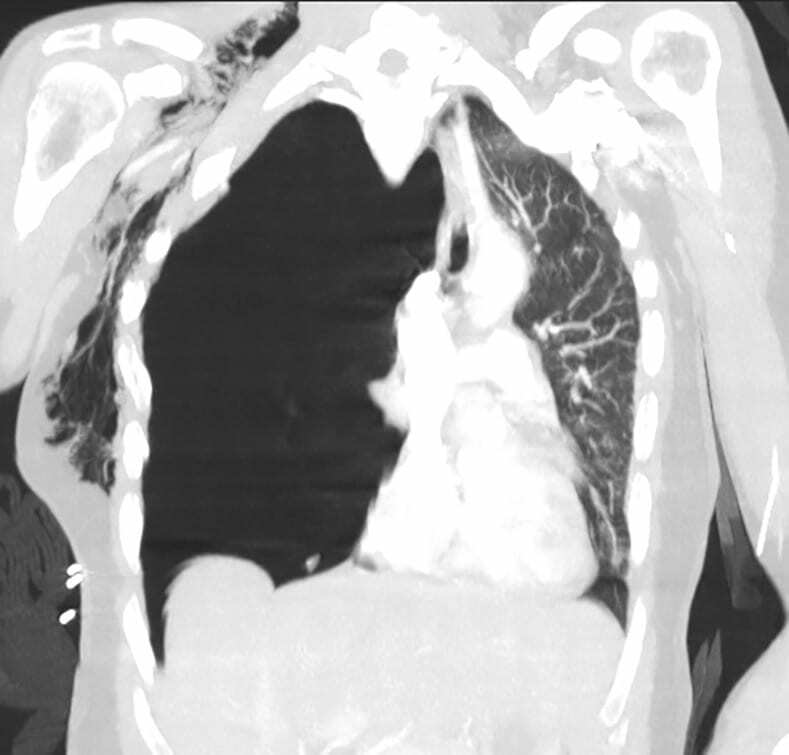 The CT scan shows a tension pneumothorax with marked mediastinal shift. There is associated extensive subcutaneous emphysema. A rib fracture can be seen and is the cause of the pathology. An intercostal catheter (ICC) is placed and the tension relieved. 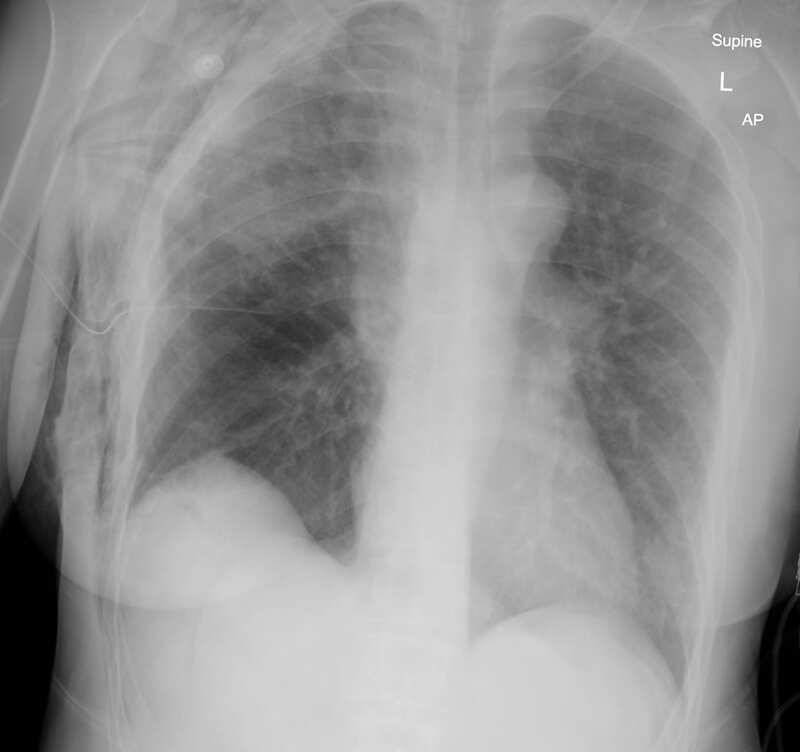 The first chest x-ray, taken after the intercostal catheter insertion demonstrates resolution of the tension pneumothorax, with the mediastinum returning to the centre of the thorax. Extensive subcutaneous emphysema is evident outlining the pectoral muscles.